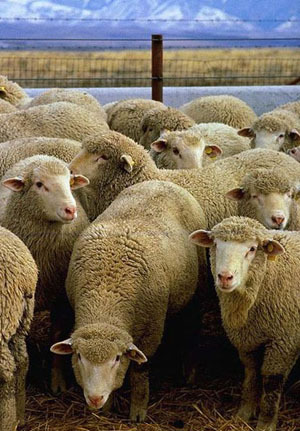 One of the themes you come across again and again in public policy debates about privacy, advertising, marketing, or even free speech battles, is the notion that the public at large is made up of mindless sheep being duped at every turn. And, as Berin Szoka and I noted in our paper “What Unites Advocates of Speech Controls & Privacy Regulation?” if you buy into the argument that consumers are basically that stupid then it logically follows that people cannot be trusted or left to their own devices. Thus, government must intervene and establish a baseline “community standard” on behalf of the entire citizenry to tell them what’s best for them. That’s exactly right, and it is even more true in an age of ubiquitous, interactive communications technologies. “The people formerly known as the audience” have the unprecedented ability to talk back, to compare notes, to collectively criticize and hold accountable those who previously held all the cards in the mass media age of the past. Most consumers are perfectly capable of judging the merits of advertising, commercial messages, or other content on their own; they cast a skeptical eye toward most claims but process those claims alongside other counter-claims, independent judgments, informational inputs, and “cultural frames,” as Castells rightly argues. We need to give the public some credit. Next post: How Did We Live Without These Technologies 10 Years Ago!